Dec. The month of holidays, presents and good food. Coming to the end of the year. What have you accomplished this year? What have you not? My company is pretty generous this year. We have the eves declared as the Company Public Holiday. So I have 2 long weekends! He surprised me with an anniversary gift on 7 Dec.. and that’s Romance! He brought me to shop for my Christmas present too..Titus watch! Not all of these, ie. Mine is the felicia blue one (the most right)! Had a steamboat gathering with the girls on 8 Dec at Rine’s place. Met up with long-lost Pau. She didn’t change much, still as dramatic as before.. ;p Dear nearly fell off the chair when he first witnessed Pau’s drama.. haha! 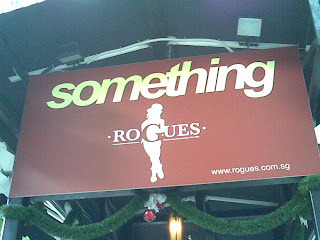 Had a company function at Rogues. Nice chill-out place at the roof top. But the food were served alittle too slow…Were too busy and forgot to take pictures of the food! Had Ayam Penyet in Batam. Nice! So much better than what I had in Singapore before. The avacado drink is cheap and heavenly! 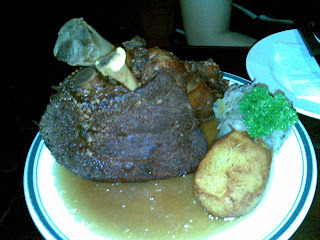 This entry was posted in Food, Happenings and tagged Food, Happenings, Personal.